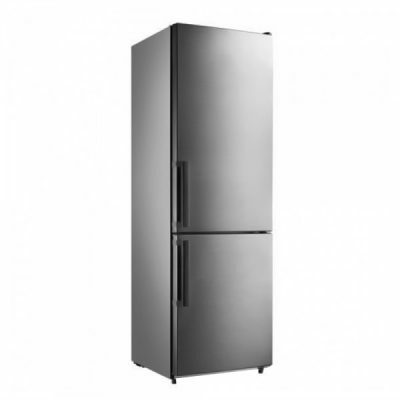 A+ rated fridge freezer with clear freezer fronts, commodity racks, large salad crisper, and ice bank tray for convenient, easy storage of food of all shapes and sizes. 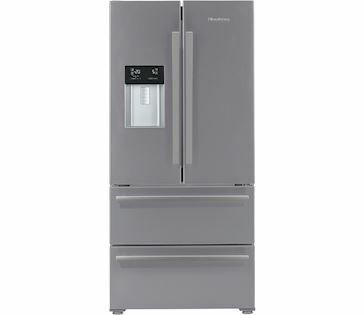 A+ Energy Rated: Save money on your energy bills and be more energy efficient with this A+ energy rated appliance. 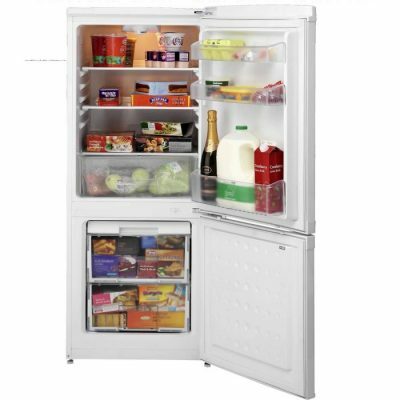 The Belling BFF207BK has a large 166 litre fridge capacity and a 41 litre freezer which is more than adequate to tackle that weekly family shop. 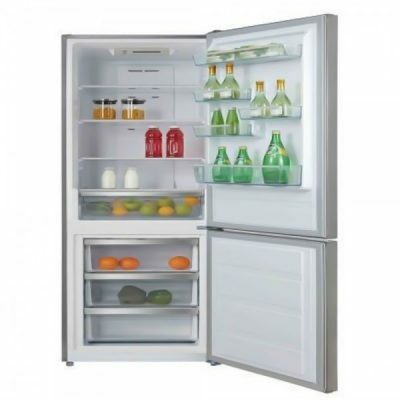 A large salad drawer and 3 toughened glass shelves make this Belling fridge-freezer the ideal companion for any kitchen.It's also A+ rated so you know it won't cost the earth to run! 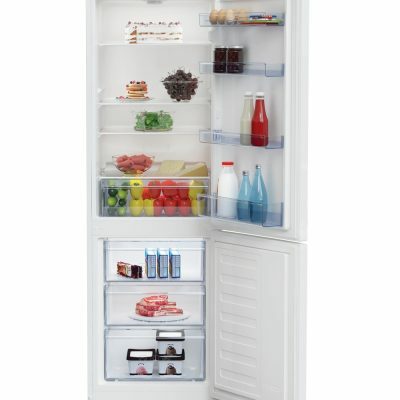 Convenient and easy to use, this fridge freezer, comes with adjustable glass shelves making cleaning easy, and reversible doors providing flexibility if your space is limited. 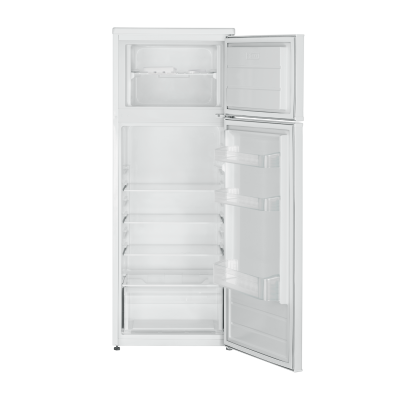 Manual Defrost : Keep your freezer clear of ice build-up while saving valuable storage space, by manually defrosting your freezer. 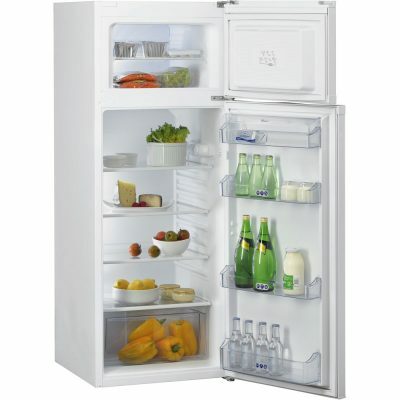 Large Salad Crisper : Store all your favourite fruit and vegetables in the large storage space of our crisper drawers. 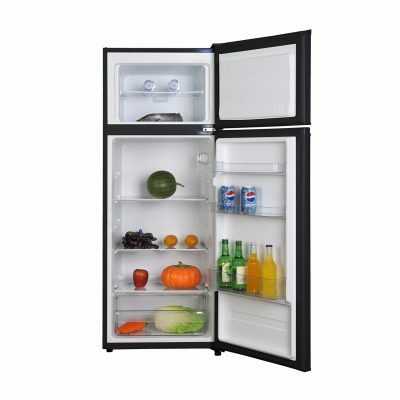 Clear Freezer Fronts : Find what you're looking for quickly and easily thanks to our clear freezer drawer fronts. 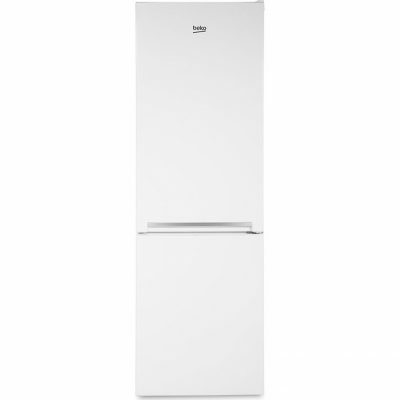 A+ Energy Rated : Save money on your energy bills and be more energy efficient with this A+ energy rated appliance. Flame Retardant Back : All our current refrigeration products are manufactured with either a metal flame retardant back or an aluminium foil covered flame retardant back, providing increased protection. VitaFresh keeps fresh food fresh for up to 3 times longer: Innovative VitaFresh cooling technology keeps food fresh for up to three times longer. Within the VitaFresh section, there are two air humidity zones: The dry VitaFresh Zone is perfect for storing sausage, cheese, meat and fish. The moist VitaFresh Zone provides the perfect environment for fruit and vegetables and ensures that freshness, flavour and nutritional value are retained for longer. 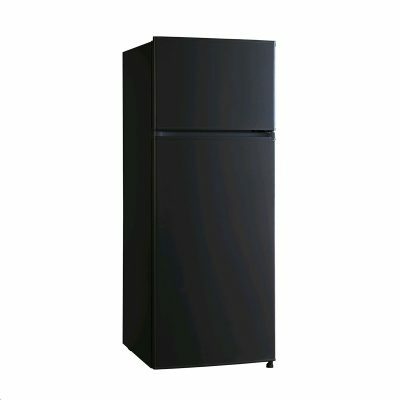 Lots of space for XXL frozen goods with the BigBox frozen food drawer: An extra-deep frozen food drawer for practical stacking of frozen foods container or large frozen items like gateaux or pizzas. 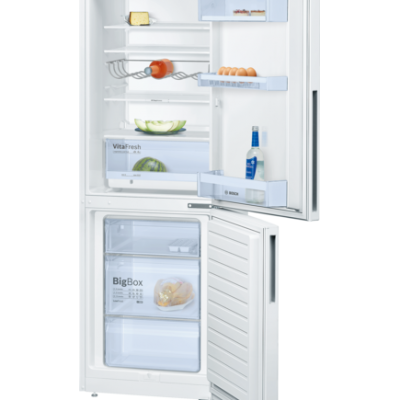 No matter whether you have to cater for a child’s birthday or freeze a wedding cake – in the BigBox you will find enough space for large frozen goods. 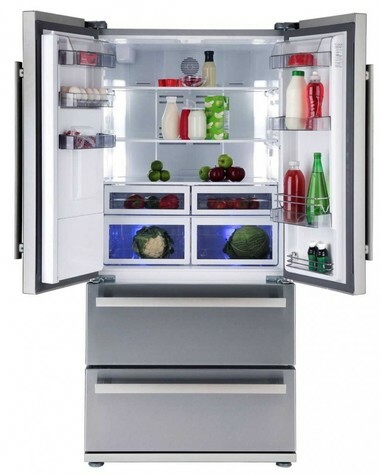 LED light: keeps the contents of your fridge in the spotlight: LED lights bring a completely new lighting concept to fridges, guaranteeing even, glare-free interior illumination. LED lights use less electricity than conventional fridge lights and last an (appliance) lifetime. LowFrost: less need to defrost: LowFrost saves you lots of work by considerably reducing ice formation. 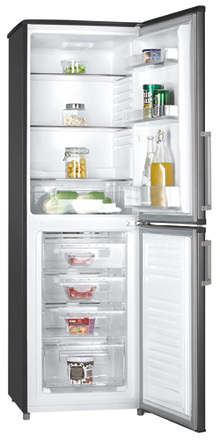 Fridge-freezers need defrosting much less often and energy consumption remains constant. 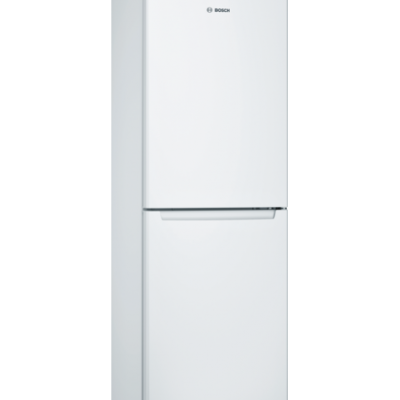 And when you do need to defrost, we have the right solution for you: a practical vent at the base of the appliance means that this is quick and easy too. 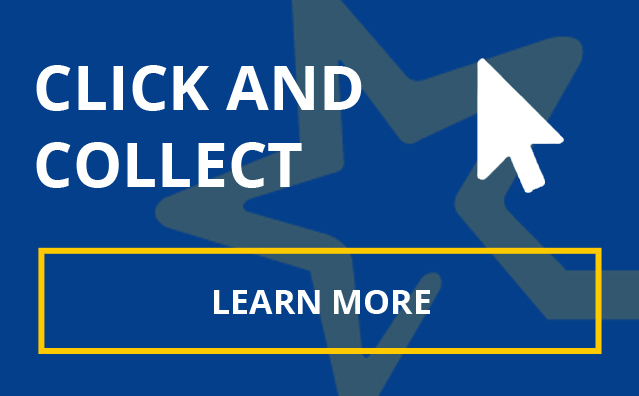 SuperFreezing: protection for pre-frozen food: SuperFreezing protects frozen food from defrosting when adding new food to the freezer, and the new food freezes faster. 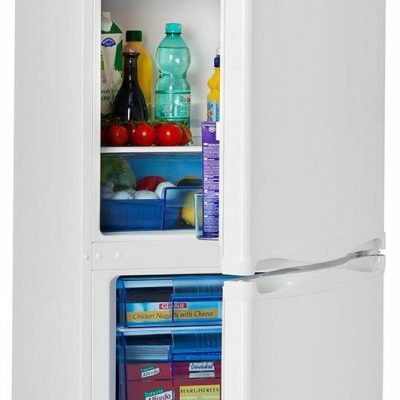 Appliances with an automatic freezing function return to normal operation once the required temperature is reached. This prevents energy waste. Multi Airflow System: even air distribution for longer freshness: The fan-assisted MultiAirflow System causes gentle, even currents of cold air to emerge at all levels of the chilling and freezing area. Temperature fluctuations are minimised and cooling times reduced – which helps your foods retain their flavour for longer. NoFrost: Save yourself some time, which means that almost no ice forms. So you don't need to worry about defrosting any more.